Mark Willcher & Company, Inc. Comment: Just my front yard, I would approximate from 500 to 700 Sq. Ft. needs to be resoded with the old patchy grass removed. The area has issues with sunlight but we recently had the front trees thinned. Would like to have done asap. Thanks. Comment: Small to medium front yard and backyard, needs overall landscaping overhaul. Existent bushes can be removed or incorporated. Fence needs replacement or, at the least, removal. Comment: I'm interested in restoring our front and back yards. I believe the existing weeds and what's left of our lawn will have to be removed. We may need a small amount of grading work in the front. We have a few large divots or small trenches caused by the removal of a large tree several years ago that will need to be smoothed out. Comment: Front lawn and side garden are the key goals. Bethesda Landscaping Companies are rated 4.78 out of 5 based on 1,344 reviews of 51 pros. 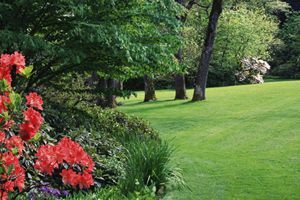 Not Looking for Landscaping Contractors in Bethesda, MD?